Newly released on Blu-ray from the Criterion Collection is John Ford’s 1946 western masterpiece My Darling Clementine. This highly fictionalized account of the gunfight at the OK Corral — pitting Marshal Wyatt Earp (Henry Fonda at his most iconic) and his right-hand man Doc Holliday (Victor Mature) against the fascistic “Clanton gang” (led by an atypically but convincingly psychotic Walter Brennan) — is a welcome addition to both the Criterion Collection and the growing number of Ford titles available in high-quality, high-definition editions on home video. My Darling Clementine was a pivotal film in Ford’s career for a number of reasons: it was his first western since Stagecoach in 1939 and his first fiction feature since returning from active duty in the Navy during World War II. 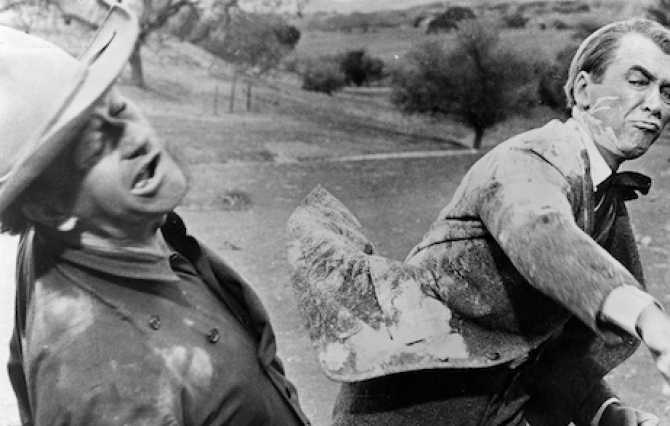 The conflicts that arose during My Darling Clementine‘s post-production — between Ford and 20th Century Fox production chief Daryl Zanuck (with whom the director had previously enjoyed a long and productive, if occasionally combative, relationship) — ultimately fractured their partnership for good and led to Ford’s exiting the studio and starting his own independent production company, Argosy Pictures. 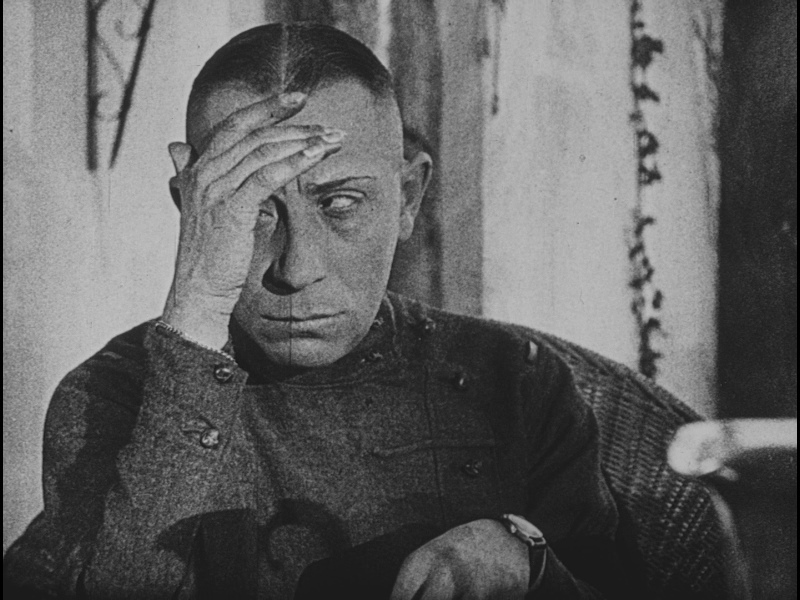 This rupture is explicitly spelled out in Criterion’s excellent Blu-ray set, which features not only the copious supplementary material one would expect but two versions of the film itself: an early “preview version” (103 minutes in length and truer to Ford’s original intentions) and the 97-minute theatrical release (partially re-shot by Lloyd Bacon and heavily re-cut by Zanuck). The result is one of the most essential home video releases of the year. 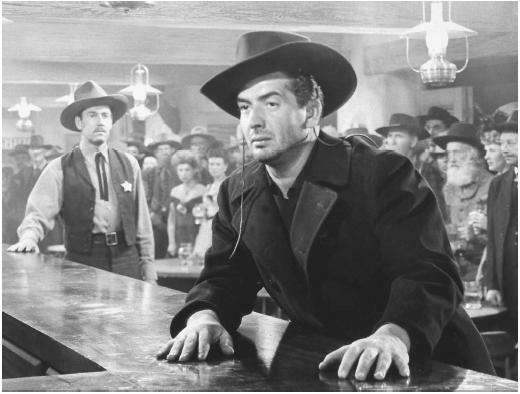 Ford’s experiences during the war had a profound impact on his art and that is immediately apparent in My Darling Clementine, a film about a cattle man who emerges from the wilderness to “settle down” in the lawless town of Tombstone, Arizona, and reluctantly becomes marshal in the process. The first significant thing Wyatt Earp does upon arriving in town is to disarm and run out of town a drunken Indian, an event that occurs when Earp’s symbolic trip to the barbershop is unceremoniously interrupted. More importantly, Wyatt Earp’s reaction to the death of his younger brother James (and his lament over James’s grave about how their “Ma” will take the news) seems to reflect Ford’s own wartime duty of informing the parents of the deaths of the young men who served under his command in the Navy’s Field Photographic Unit. Finally, Ford stages the climactic gunfight at the OK Corral as if it were, in his own words, a “clever military maneuver.” There is a lot of powerful stillness and silence in the build up to the gunfight, as Earp and his deputies calmly walk up to the corral, which they then strategically infiltrate by cover of the dust kicked up by a passing horse-drawn covered wagon. 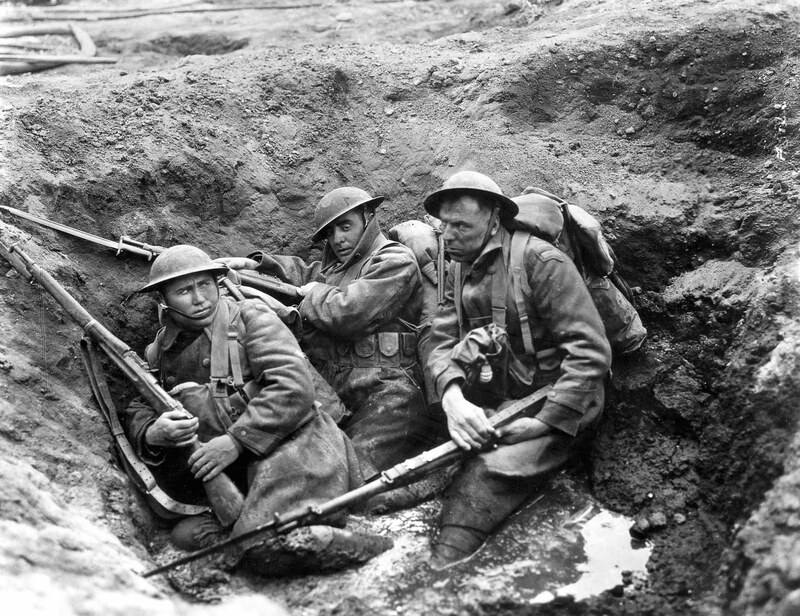 This strategic maneuvering was undoubtedly influenced by the military maneuvers Ford had witnessed while covering the second world war as a documentary filmmaker, a lot of the footage of which has still never been publicly screened. My Darling Clementine also feels highly personal and quintessentially Fordian in the way that it eschews plot in favor of a series of vignettes — some comical, some poignant — that Ford himself termed “grace notes.” One watches Ford in general not for plot but for these magic moments: an unexpectedly stunning composition here, a bit of spontaneous behavior that he probably cooked up with his actors while on set there. 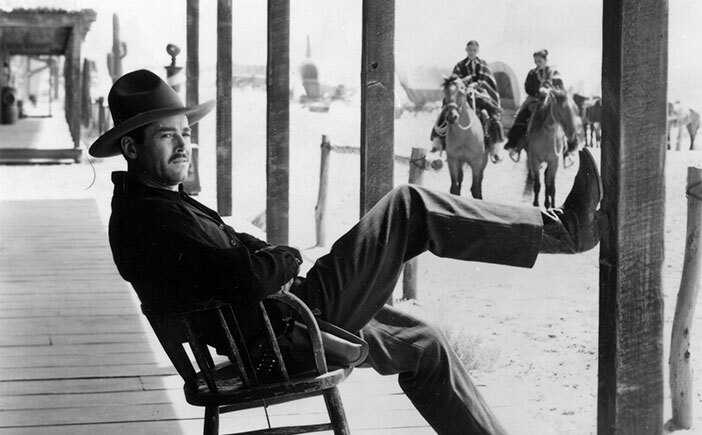 The fact that My Darling Clementine contains an unusually large number of such moments is perhaps an indication that Ford’s wartime experiences had strengthened his independence and resolve to buck against the constraints of a rigid studio system. Daryl Zanuck, who adored Ford, had always complained about the tempo of Ford’s movies (Zanuck had even wired the director a message on the set of 1939’s Drums Along the Mohawk reading, “They don’t call them moving pictures because they stand still. They move.”). Yet in 1946, Ford was willing to introduce the central conflict between the Earp brothers and the Clantons in his opening scene and then essentially put that conflict on hold for the next 45 minutes. This is absolutely the best stretch of the film, a series of magic moments that everyone remembers but that have nothing to do with the story. Most famously, there is the image of Wyatt Earp leaning back in a chair on the front porch of his hotel and balancing himself on a post with his feet. But there is also the sweetly awkward moment where Earp dances with Clementine Carter (Cathy Downs) at the consecration of Tombstone’s first church, Linda Darnell’s Mexican prostitute singing “Under a Broad Sombrero,” the comical visit to Tombstone of a Shakespearean actor named “Granville Thorndyke” (Alan Mowbray), and Earp collecting poker chips in his hat. It was Ford’s indulgence of such indelible digressions, and Zanuck’s opposition to them, that ultimately led to the permanent falling out between the two men. 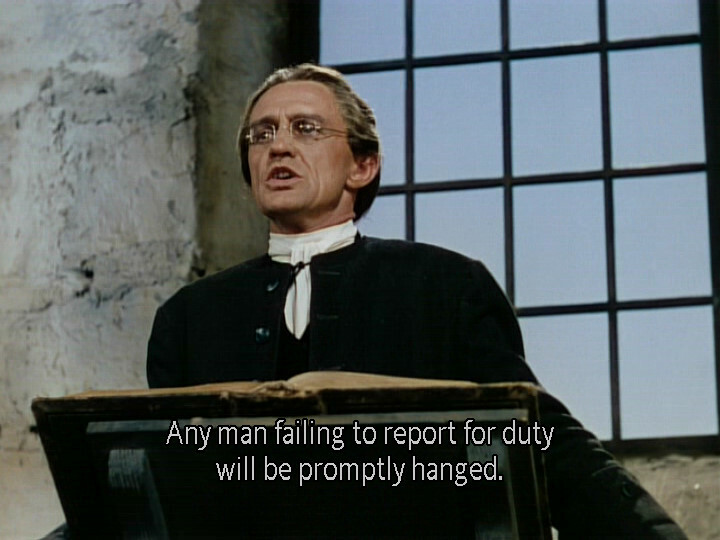 This falling out is illustrated in detail on Criterion’s Blu-ray, not only through the two versions of the film included (both thankfully presented in 1080p) but also through the many welcome supplements, including an excellent new audio commentary by Ford biographer Joseph McBride and a visual essay by Tag Gallagher. But, of course, even those not academically inclined will want to snap this up; the real treat here is the movie itself, one of the greatest of all Hollywood westerns, and this version represents a new 4K digital restoration with a linear PCM soundtrack that both looks and sounds fabulous (better even than the superb DVD that was included in the mammoth “Ford at Fox” box set from a few years ago). Ford’s body of work is so rich because the man himself, like other great American artists such as Walt Whitman or Bob Dylan, contains multitudes. As the quote from Stephen Longstreet that opens this review attests (less perverse than it might initially seem), Ford was a complex dude who could be a stern — occasionally sadistic — father figure, a comedian, an adventurer and a master storyteller. One gets a sense of each of these qualities in My Darling Clementine, a film that undoubtedly would be a richer experience could we see Ford’s original version today. However, it is a testament to Ford’s genius that, even shorn of 30 minutes and partially re-shot, the theatrical release is still one of the high water marks of his long and illustrious career. On one level, every year is the “Year of the Ford” in the Smith household. 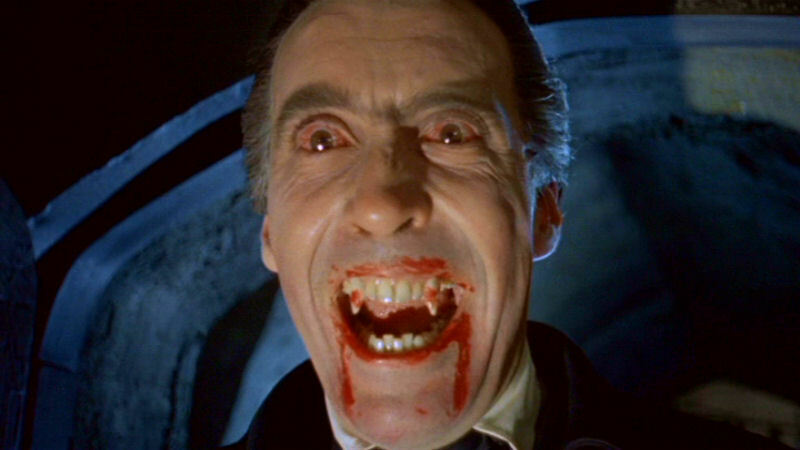 I am, after all, watching his movies all of the time, both for my own pleasure and in classes that I’m teaching. 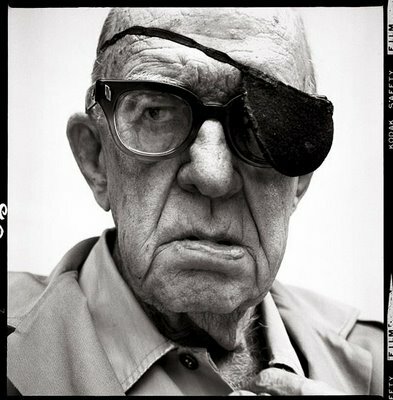 I’ve shown more films by John Ford, and in a greater variety of film studies classes (Intro to Film, Film and Society, Perspectives on Film, World of Cinema, etc. ), than any other director. 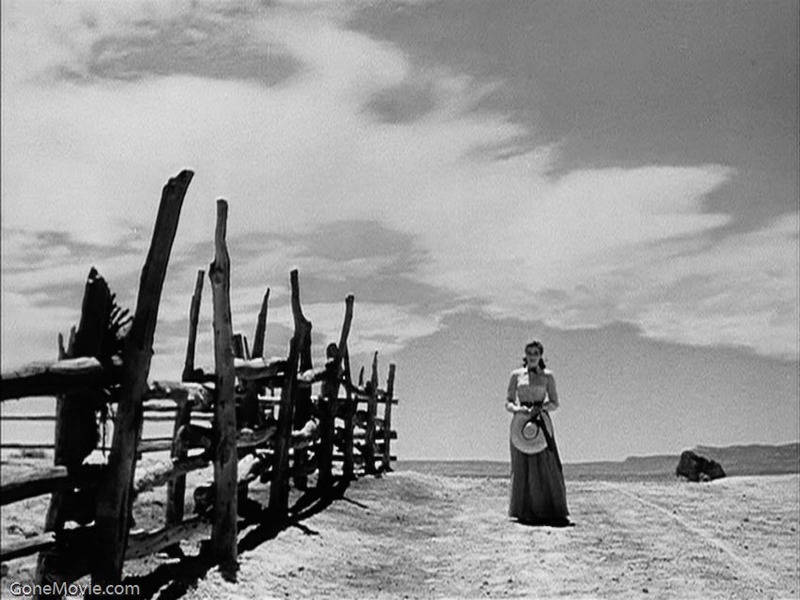 In less than five years I’ve managed to screen seven Ford features: Stagecoach (1939), How Green Was My Valley (1941), My Darling Clementine (1946), Fort Apache (1948), The Quiet Man (1952), The Searchers (1956) and The Man Who Shot Liberty Valance (1962); and this is not to mention that I also frequently show Peter Bogdanovich’s documentary feature Directed By John Ford in full — as well as clips from various other Ford films, including 3 Bad Men (1926), The Informer (1935) and The Battle of Midway (1942). My insistence on teaching Ford is in part because his very name seems synonymous with the American cinema — in much the same way that William Faulkner might be said to be synonymous with American literature or Bob Dylan synonymous with American music. (I’ll never forget how intensely gratifying it was to hear a young Korean student say she felt she was able to “understand America better” after watching Ford’s movies in my class.) Yet, even given my Ford-o-philia, 2013 was something special. The year began on a sour note for some Ford aficionados when Quentin Tarantino repeatedly badmouthed Ford’s movies for their supposed “racism” to anyone who would listen (including Charlie Rose and Henry Louis Gates, Jr.) while traveling around the world to promote his presumably more enlightened Django Unchained. Fortunately, Ford soon received the most eloquent defense his admirers could have hoped for in the form of a Film Comment rebuttal from the great Kent Jones. Then, in the following months, the world was reminded of the maestro’s continued relevance when four of what I would argue are among his five best movies were released on Blu-ray for the first time: How Green Was My Valley, The Quiet Man, The Sun Shines Bright and The Man Who Shot Liberty Valance. (Ford’s other best movie, The Searchers, was released on Blu-ray years ago.) Incredibly, none of these titles were released together as part of any sort of Ford-themed package or box-set deal. Instead they were dropped, coincidentally and separately, by three different labels: 20th Century Fox, Olive Films and Paramount UK. TCM and Sony also teamed up to release the “John Ford Columbia Films Collection” box set but the five titles included there were made available on DVD only (and as much as I welcome the digital debuts of such underrated gems as The Whole Town’s Talking and Gideon’s Day, I passed on this set because I no longer purchase DVD-only releases). 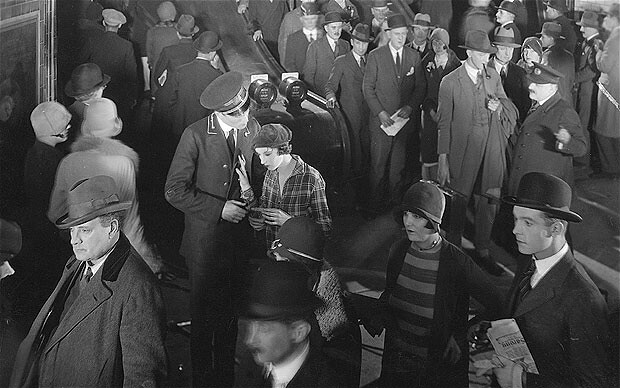 Finally, 2013 also saw the very welcome DVD release of the recently rediscovered Ford silent Upstream (included on the National Film Preservation Foundation’s “Treasures New Zealand” anthology). The rest of this post, however, will be devoted to the four new Ford Blu-ray titles that rocked my world in 2013. How Green Was My Valley is my second favorite Ford film and my favorite of his non-westerns. 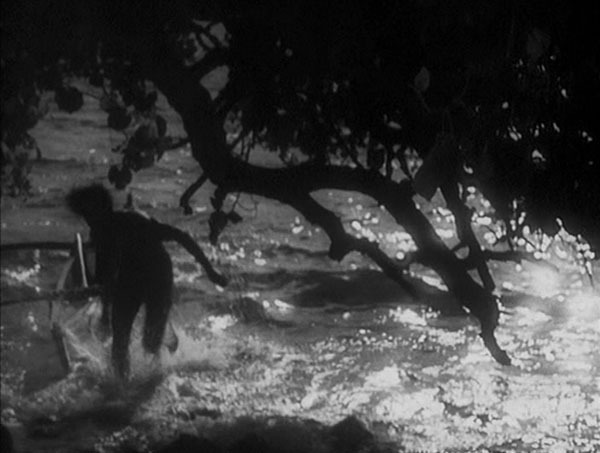 I am also fond of stating that the Academy of Motion Picture Arts and Sciences correctly named it the Best Picture of 1941 over Citizen Kane, with which it curiously shares a flashback structure and a “subjectivity of memory” theme. This beautiful, melancholy story of one family’s disintegration in a turn-of-the-20th century mining town in Wales (though Ford was clearly thinking of Ireland) is set against the backdrop of union struggles and was one of the director’s most personal films. 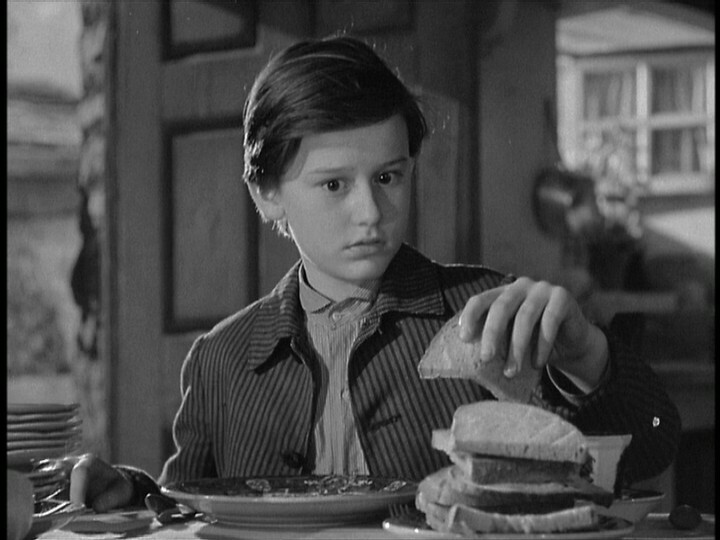 In it, he presents a vision of an idealized family life, the kind that he personally never knew (where Donald Crisp presides with benign authority over a brood of dutiful, mostly male offspring), and offers a stirring illustration of his Catholic belief that one’s physical death is not “the end.” Yet the film’s obsessive focus on the inevitability of change simultaneously marks it as one of Ford’s most pessimistic works. 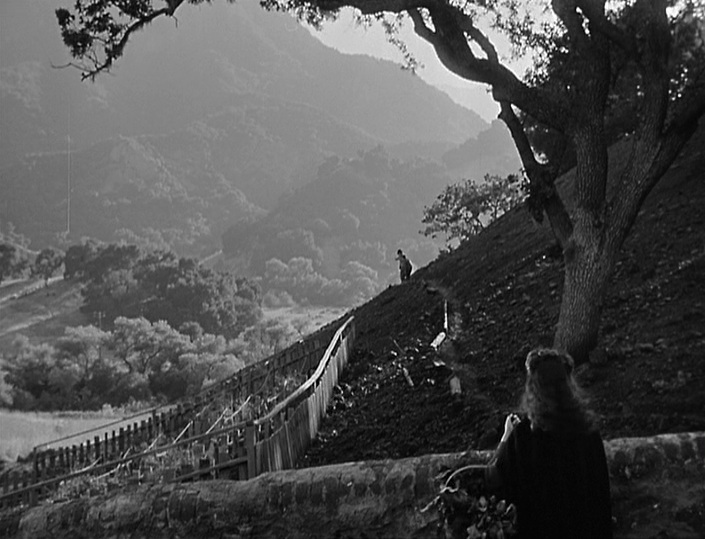 How Green Was My Valley has amazing deep-focus cinematography courtesy of the great D.P. Arthur Miller, a poignant Alfred Newman score and a star-making performance by the lovely Maureen O’Hara (working with Ford for the first of many times). 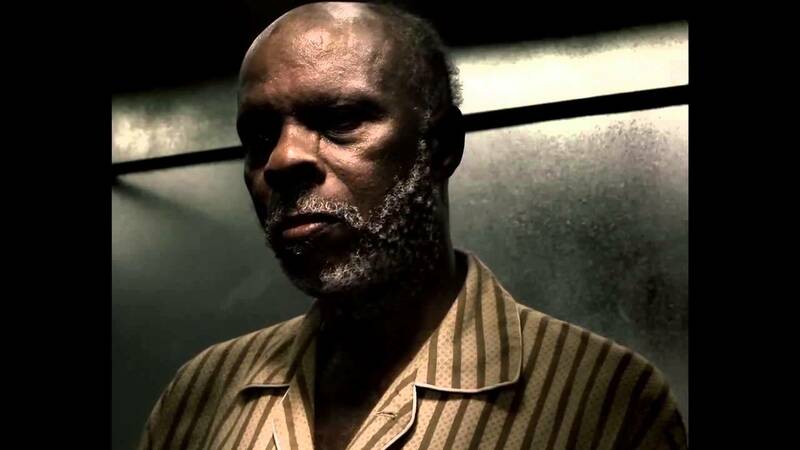 Fox’s Blu-ray, which I reviewed at length back in February, is perfect. 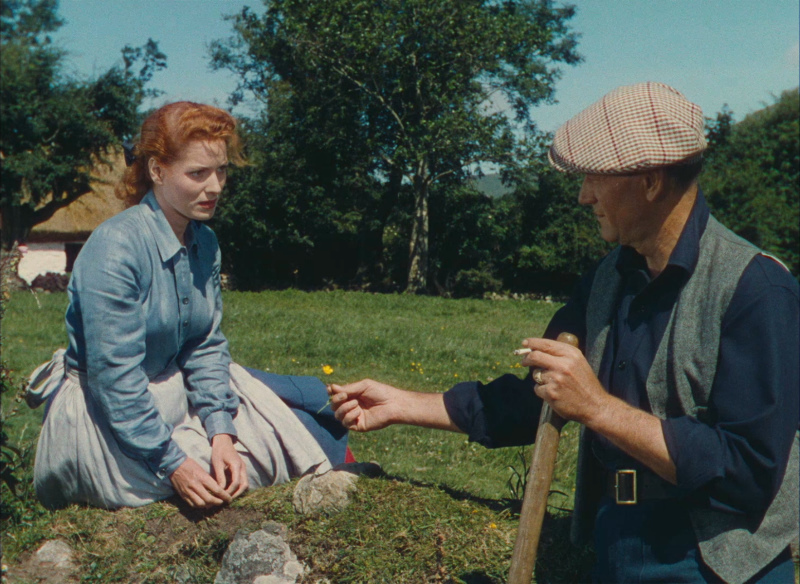 The Quiet Man is the most impressive of the new batch of Ford Blu-rays, not only because it looks and sounds incredible but also because it represents the most dramatic upgrade over all of the film’s previous home video incarnations. This movie has never looked good on VHS or DVD, the old video transfers of which were soft and blurry and sported sadly faded color (a particularly offensive crime since Ford insisted on shooting in Technicolor, the premiere color process of the day, over the objections of Republic Pictures boss Herbert Yates, who had patented his own color process — the cheaper and more lurid TruColor). So Olive Films did the world a huge favor by taking Ford’s single most personal film (and the only passionate love story he ever directed) and restoring it to something approximating its original luster. This new version boasts a high-definition transfer and remaster of the original camera negative and the results are glorious: primary colors (especially greens and reds) are vibrant and saturated: when John Wayne’s Sean Thornton first spies Maureen O’Hara’s flame-haired Mary Kate Danaher walking barefoot in an impossibly green grassy field, he wonders aloud “Is that real? She couldn’t be.” I said the same thing when I first watched this Blu-ray. In contrast to How Green Was My Valley and The Quiet Man, both of which are popular classics beloved by many casual movie fans, The Sun Shines Bright has always been the Ford-lover’s Ford movie. A remake of the director’s own Judge Priest (1934), a Will Rogers vehicle that remains a great film in its own right, this 1953 version similarly blends comedy and tragedy in a story of racial intolerance set in post-Civil War Kentucky. But it also daringly restores the incendiary lynching scene that censors ordered to be cut from the original, which was Ford’s acknowledged reason for revisiting the material to begin with. 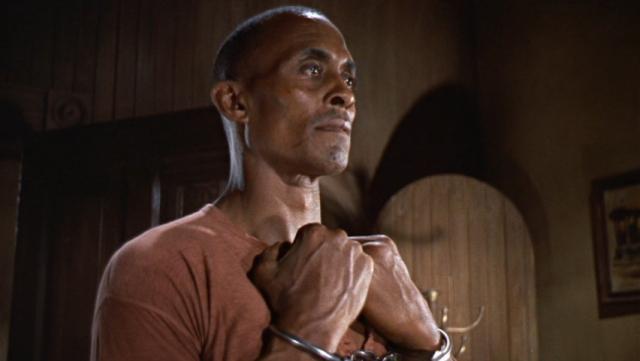 While the film may have looked deliberately old-fashioned by the standards of the early Fifties, this beautiful slice of Americana, and its impassioned plea for tolerance, looks positively ahead of our time today — Stepin Fetchit and all. Again, this is a terrific transfer courtesy of Olive Films: the original black-and-white cinematography comes across as satisfyingly film-like, showing admirable depth and grain, and the DTS-HD rendering of the mono soundtrack is likewise subtly awesome. Both Victor Young’s score and the crisp sound design (notably the rhythmic sound of marching feet in the back-to-back processions that serve as the movie’s double-climax) make a big impression. 1962’s The Man Who Shot Liberty Valance was Ford’s last great western — and the first of many great movies belonging to a subgenre concerning “aging cowboys” (followed swiftly by Sam Peckinpah’s Ride the High Country). As the West is on the brink of being “settled,” the way of the gun (John Wayne) must cede to the rule of the law (Jimmy Stewart). While Ford sees this progress as being both inevitable and right, it is obvious that his heart belongs more with Wayne’s rancher-character, Tom Doniphan, and that he mourns the passing of the era when men like Doniphan existed, which turns the whole thing into a complex and ironic tragedy. The Man Who Shot Liberty Valance is in many ways Ford’s magnum opus (with explicit nods to earlier classics like Stagecoach and Young Mr. Lincoln) and Paramount UK’s hi-def transfer does this masterpiece proud. It bests Paramount’s very good previous DVD in terms of image and sound — boasting a robust new 5.1 mix in the latter area. One does wonder why Paramount U.S. hasn’t yet bothered to release the same title although given that the U.K. edition is region-free (and can thus be played on any Blu-ray player worldwide), the cost of international shipping isn’t too much of a price to pay for a release this essential. The Man Who Shot Liberty Valance also, of course, contains some of the most important dialogue Ford ever directed: “This is the west, sir. When the fact becomes legend, print the legend.” These lines, delivered by a newspaper editor to Stewart’s Ransom Stoddard, have frequently been misunderstood — including by Steven Spielberg in the pages of Time magazine — as somehow being an argument in favor of the importance of inspirational “heroes and legends.” I would argue that they actually play out on screen as a sad reminder that official histories are often tragically incorrect. Fortunately, in 2013, John Ford’s own legend has been solidified more than ever due to the magnificent Blu-ray releases of four of his most timeless works. I am jealous of anyone who gets to see them in such pristine form for the first time. 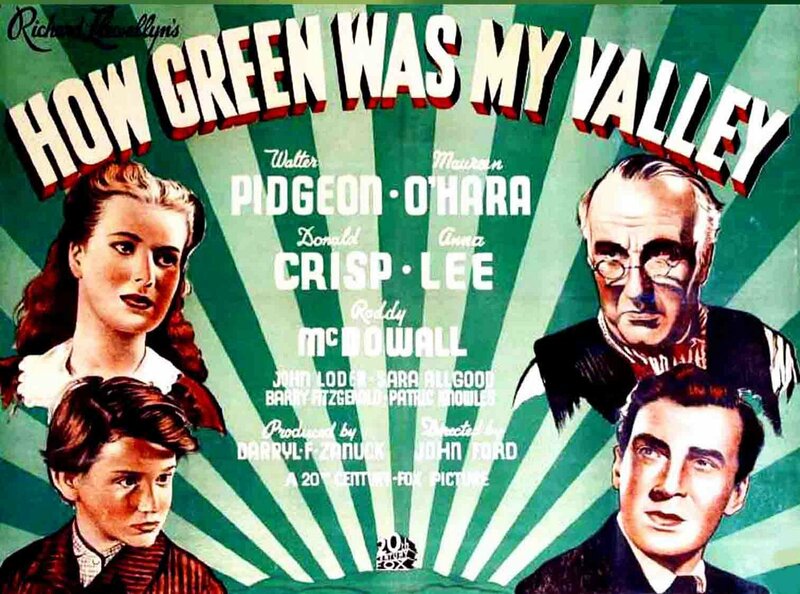 Newly released on Blu-ray from 20th Century Fox is How Green Was My Valley, the Best Picture Oscar winner from 1941 and one of director John Ford’s finest achievements. Ford once claimed that How Green Was My Valley was his most autobiographical movie, which is ironic considering that he joined the project as a last-minute replacement for the original director William Wyler. Wyler had already worked on the script with screenwriter Philip Dunne, overseen the construction of the sets on the Fox ranch in the Malibu hills and even cast the film. Perhaps it’s surprising that the movie seems as “Fordian” as it does considering how late Ford came on board the project. Then again, perhaps it’s surprising that Ford was not offered to direct the project originally, given how similar the subject matter is to The Grapes of Wrath (which had netted Ford a Best Director Oscar one year earlier). Like Grapes, a film that had arrived with the same instant prestige – and controversy – as John Steinbeck’s source novel, How Green Was My Valley was based on a current best-seller by Richard Llewellyn. Both books had been published in 1939 (an indication of how much quicker things got done in Hollywood at the time) and they tell similar stories: they are period dramas depicting the disintegration of a family, set against the backdrop of a labor struggle. How Green Was My Valley is set in Wales and the main characters are coal miners (as opposed to the Okie tenant farmers in Grapes) but the portrait of family life in each is strikingly similar. 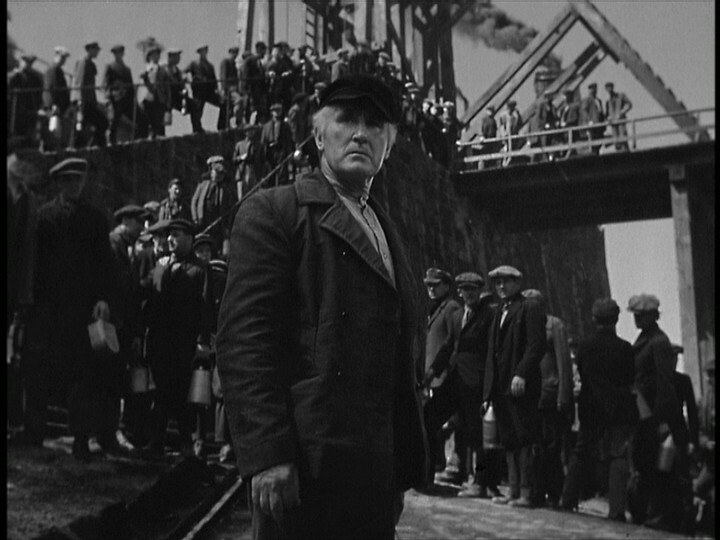 Daryl Zanuck, the head of Production at 20th Century Fox, was a conservative Republican and, as had happened with The Grapes of Wrath, was made uneasy by some of the political themes of How Green Was My Valley, such as the workers’ struggle for the right to unionize. Zanuck commissioned screenplays for the film from two different writers and rejected both of them because he thought they focused too much on the unionization subplot. In a memo referring to an early story conference, Zanuck wrote: “I was very disappointed in the (Ernest) Pascal script mainly because it has turned into a labor story and a sociological problem story instead of a great human warm story about real living people. I got the impression that we are trying to do an English Grapes of Wrath and prove that the mine owners were very mean and that the laborers finally won out over them. All this might be fine if it were happening today like The Grapes of Wrath but this is years ago and who gives a damn? 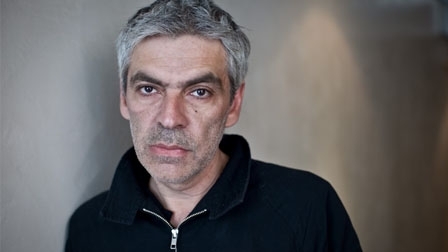 The smart thing to do is to try and keep all of the rest in the background and focus mainly on the human story as seen through Huw’s eyes.” The third draft, written by Dunne, did downplay some of the more radical political elements of the novel but it is still remarkable that the movie got made at all. Part of the reason why Zanuck first approached Wyler and not Ford to direct is because his original concept for the film was different from what it ended up becoming. The initial idea was to make How Green Was My Valley Fox’s Gone with the Wind. Zanuck was jealous of MGM’s success with their 1939 Oscar-winner and his plan was for How Green Was My Valley to “outdo” Gone with the Wind by being a four-hour Technicolor epic, shot on location and featuring an all-star cast that would’ve include Laurence Olivier, Katharine Hepburn, Tyrone Power and Greer Garson. None of those things ended up happening; war broke out in Europe, which made location shooting impossible, and the top brass at Fox balked at the proposed budget as well as the choice of director (Wyler had a reputation for being an extravagant perfectionist who required many takes). When Fox cancelled the project, Zanuck fired off an angry letter to the front office saying that Dunne’s script was the best he had ever read and if he couldn’t make the movie now, he was going to make it later and would take it to another studio if necessary. The powers that be at Fox relented on the condition that Zanuck make the film in black-and-white and bring it in at a running time of under two hours. That’s when Zanuck brought in Ford because Ford’s reputation was the opposite of Wyler’s – he was able to get most of his shots in only one or two takes and was known for bringing his movies in on time and under budget. 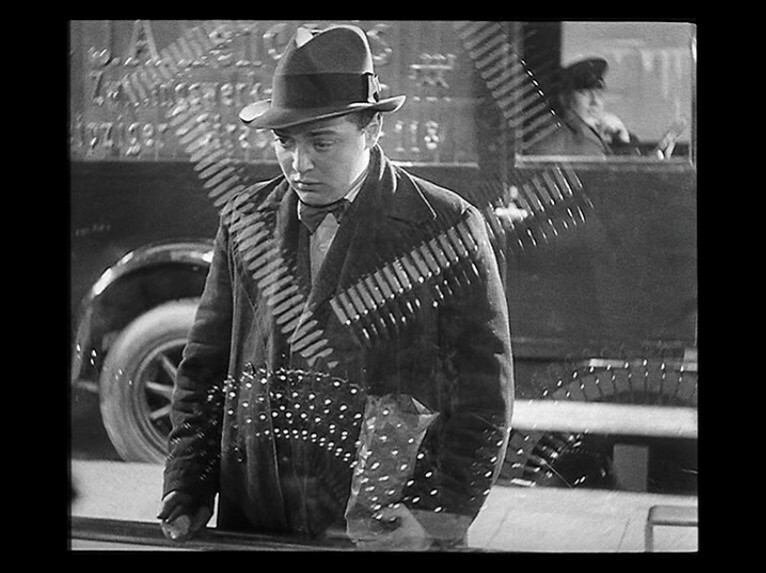 The finished film was, as I’ve indicated, highly personal for Ford, who based a lot of its images on his own childhood memories. Coincidentally, Ford had been the same age as Huw Morgan at roughly the same time in history: Ford was born in 1894 and reached adolescence in the early part of the 21st century just like Huw. 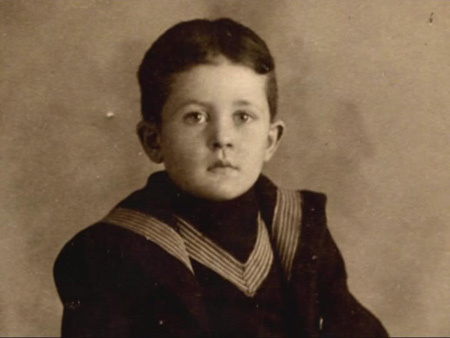 Further, Huw is the youngest son in a large Welsh family and Ford was the youngest son in a large Irish-American family (his parents had migrated, separately, from Ireland to America, where they first met and got married). Ford said he could identify with being the “fresh young kid at the table” and this identification is evident in the many poignant reaction shots of Huw sitting with his family at the dining room table. More importantly, Huw becomes sick in the movie and has a lengthy convalescence during which he discovers his love of books. The exact same thing happened to the director; Ford contracted diptheria when he was 12 and was quarantined at home for a year. During this time he missed a year of school but discovered his own love of literature and read classics like Ivanhoe, Treasure Island and the novels of Mark Twain. 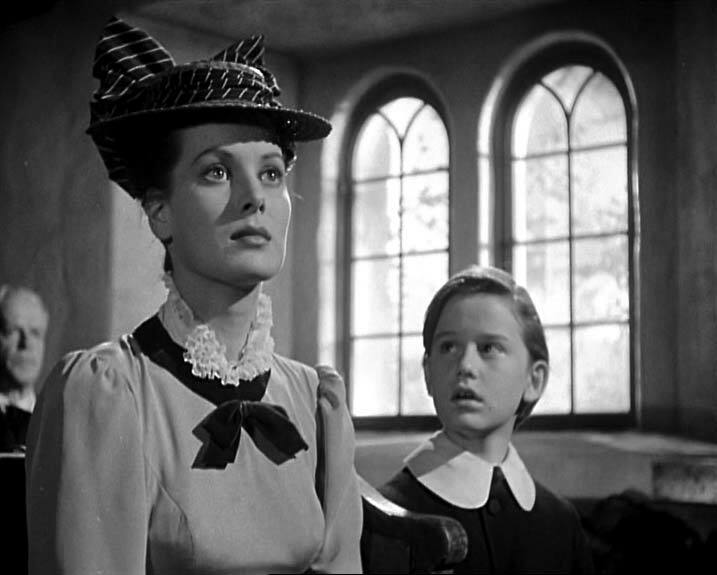 Oftentimes, one of his sisters would read to him, an event that is recreated in the film with Huw and his sister-in-law Bronwyn (Anna Lee who, like cast-mate Maureen O’Hara, was working with Ford for the first of many times). After The Grapes of Wrath, How Green Was My Valley was another big critical and commercial success for 20th Century Fox. It won Ford his third Academy Award for Best Director and it won Zanuck his first Oscar for Best Picture. 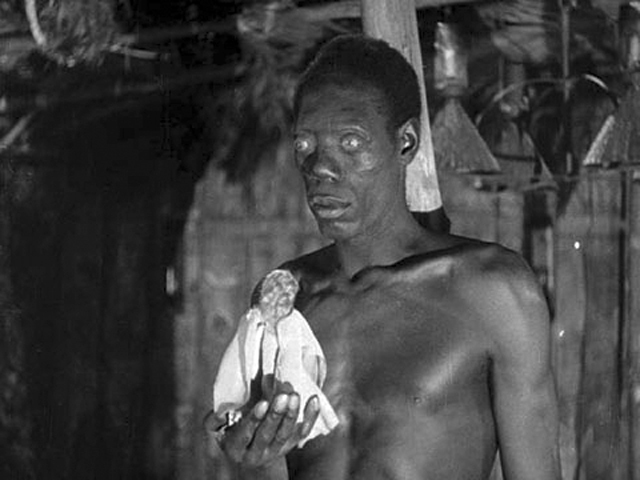 The fact that its main competition that year was Citizen Kane (which had to settle for the Best Original Screenplay trophy only) has sadly caused some critics and cinephiles to downgrade Valley in hindsight, many of whom see it as the ultimate “proof” of the Oscars’ irrelevance–the cinematic equivalent of the Grammys not honoring Elvis, The Beatles or Bob Dylan for their best recorded work. I mean, the film that beat the Greatest Movie of All Time™? How good could it possibly be? Personally, while I yield to no one in my love of Welles, I have no qualms about saying that the Academy Awards actually got things right that year. 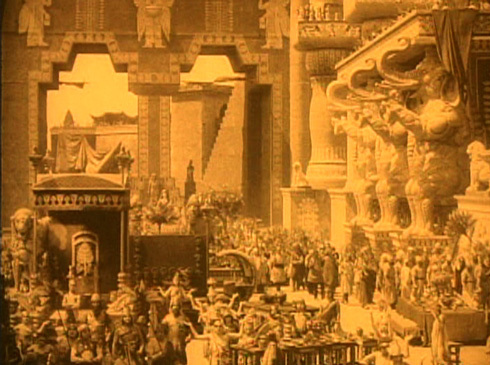 The ultimate tribute to Valley came from Welles himself, who clearly modeled the gossiping housewives in his 1942 production of The Magnificent Ambersons on a scene involving similar characters from Ford’s film (not to mention identifying Ford as his favorite director in later interviews). 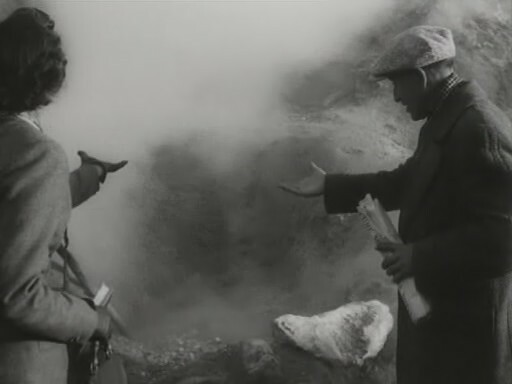 About the transfer: How Green Was My Valley is presented by Fox on Blu-ray in a new HD transfer based on restored film elements. I do not believe this involved the same sort of extensive digital overhaul as last year’s brilliant Grapes of Wrath Blu-ray, which means the upgrade over Fox’s previous DVD version is not comparably dramatic. It is, however, still an upgrade — especially in the areas of detail, clarity and contrast. 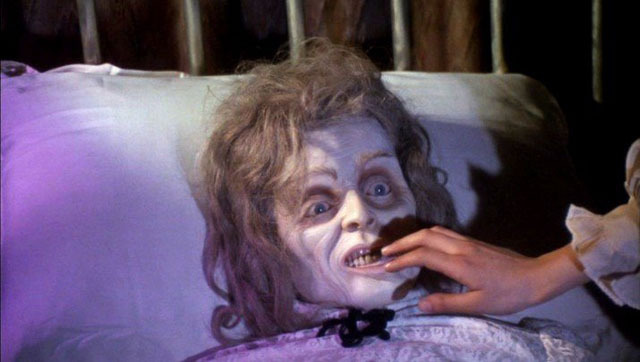 The amount of detail in close-ups in particular, such as the fine hairs on an old woman’s face, is extremely impressive. Arthur Miller’s gorgeous high-contrast/deep-focus black-and-white cinematography is comparable to Gregg Toland’s work on Grapes and likewise utilizes a lot of low-angled long shots; the film’s cinematic qualities come through better than ever on this new edition. Fortunately, all of the DVD’s welcome extras (especially the insightful commentary track with Anna Lee and Ford biographer Joseph McBride) have also been ported over here intact. 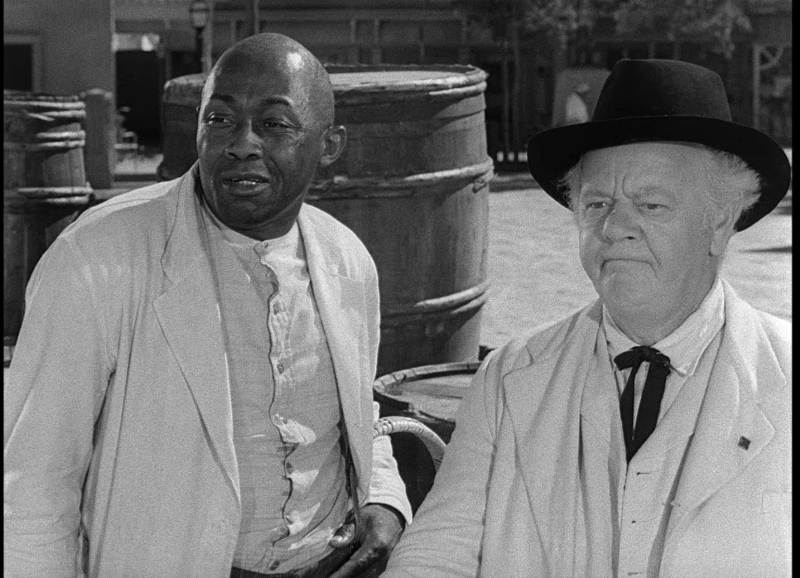 How Green Was My Valley is one of my top three favorite Ford films, along with The Searchers and The Man Who Shot Liberty Valance, and I consider it an essential addition to the library of any Fordophile — or cinephile.